The pressure cooker makes short work of pea soup, cooking the dried peas in half the time it would traditionally take and doing all the work of the blender as well. Rich, creamy comfort is just half an hour away. The pressure cooker cuts the peas' cooking time in half, while adding more flavor. 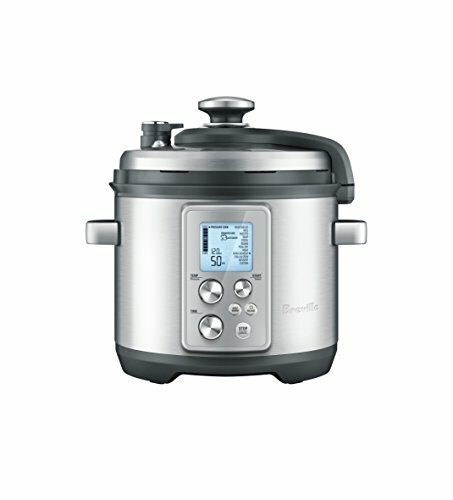 Rapidly releasing the pressure causes the contents of the pressure cooker to vigorously boil, turning the soup creamy with no need for a blender. Melt butter in a pressure cooker over medium heat. Add onion, celery, and ham and cook, stirring, until softened but not browned, about 3 minutes. Add garlic and cook until aromatic, about 30 seconds. Add peas, chicken stock or water, and bay leaves. Stir to combine, then cover pot and bring to high pressure. Cook for 20 minutes, then rapidly release pressure by opening the air valve. Open pot lid, stir contents until smooth, season to taste with salt and pepper, and serve. 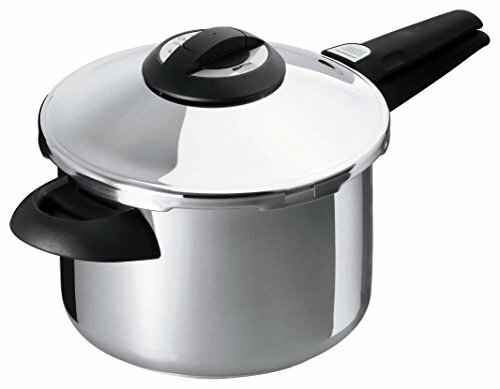 Carefully clean the pressure cooker's gasket and valves as soon as the pot is cool enough to handle; pea soup can easily clog valves, which can cause your cooker to over-pressurize the next time you use it. Soup can be stored in the refrigerator for up to 1 week. You can use a whole cured or smoked ham hock in place of the diced ham, or bacon or pancetta, if you prefer. If you use a hock, pick off the meat after cooking in step 2 and add it back to the soup, discarding the bone.